grad 2010! | . . . . . . . . . . . . . . . . . . . . . . . . . . . . . . . . . . . . . . . . . . . .
the time has come to book your afoto grad session! how can you get the most out of your photo shoot? drop me an e-mail and let’s find a location that fits your style perfectly! where do you like to spend your time? by choosing a location that’s unique to you, you’re able to come away with meaningful photos and memories. do you live on a farm? like to ride horses? maybe your mom still fits into her grad dress! if you’re having trouble coming up with the perfect location, contact me at 2abbye@afoto.ca and let’s collaborate. 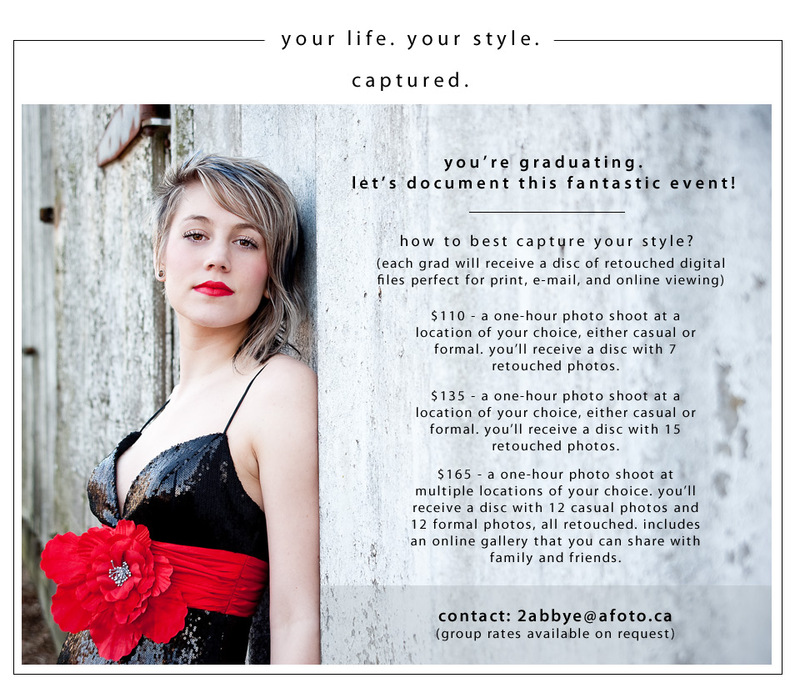 afoto grad sessions allow you to choose either a formal or casual clothing! i love photographing grad dresses, they’re fun, colourful and full of attitude! and really, we all know you want a reason to wear your dress twice. but maybe you feel your style would be better captured in your street clothes. bring a couple of different outfits to get a variety of photos that show every side of your personality. 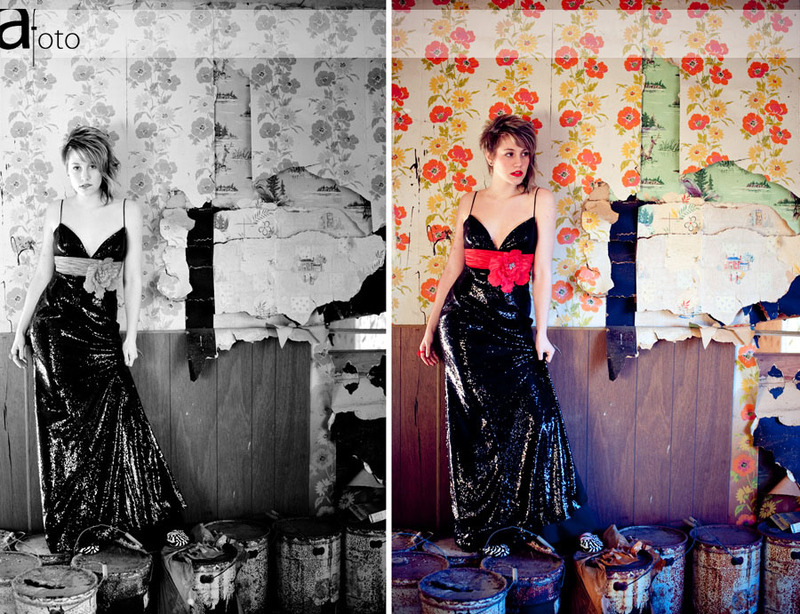 or choose both, let’s photograph your dress, then a quick change into your jeans and off we go! book your afoto grad session now! the sooner you book the more options you’re going to have for dates and location. 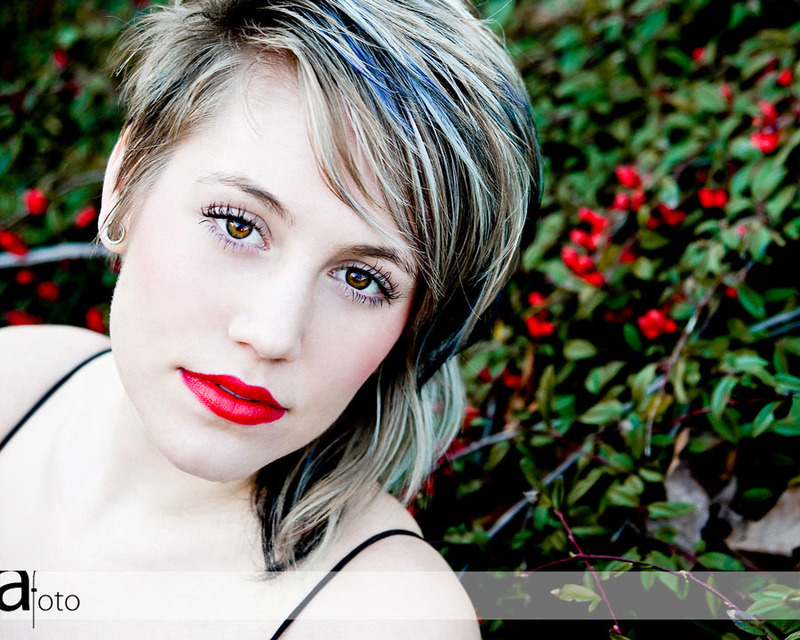 as we experience this awesome spring weather, it’s not to early to book your photo session. 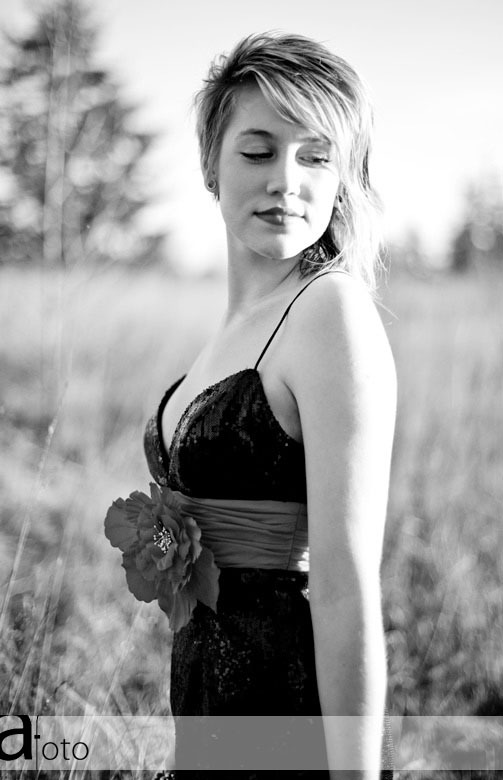 and now for some fun photos from the first grad session of 2010!